"A History of Light isn't only a biographical novel about František Drtikol. Němec uses the effect of hindsight - he depicts events whose participants cannot know the significance of what's happening around them, while we are fully aware. Němec is essentially doing something similar to what Florian Illies did in the excellent novel 1913: The Year Before the Storm, where he for example lets Stalin meet Hitler in a Schönbrunn Palace garden; but the year is 1913 and none of those strolling through the park realise what atrocities these two men will one day commit. The whole novel therefore represents a remarkable and substantial experiment, offering an account about Drtikol, the history of photography as a new art form, the cultural climate of the incredibly interesting and turbulent period around the end of the Austro-Hungarian Empire, the First World War and the 1920s, but also about the narrative possibilities of contemporary novels. And as I've already mentioned Illies's novel 1913: The Year Before the Storm, it's worth adding that Jan Němec has written a more than worthy Czech counterpart. Not only because of his ability to incorporate all the topics mentioned above into one novel in a sophisticated yet playful manner, but also because of an almost mysterious feature - the novel never loses its pace and is very hard to put down even after 400 pages." A great fate demands a great gesture - and Jan Němec's novel about František Drtikol was able to achieve this with the necessary breadth. He writes about the mining town Příbram as if he were holding a pneumatic drill, about the young photographer's juvenile loves as if he were in love for the first time, and about the nature of light, this substance which was so vital for the photographer, with the same wonder which Röntgen must have experienced when he discovered X-rays. In the book, Jan Němec very successfully compiles various literary approaches - he addresses Drtikol in the 2nd person singular, the war chapter taking place from 1914 to 1918 is constructed entirely from letters. So why shouldn't he convey the final stage of Drtikol's life with silence? He does this very effectively - it's a conscious silence rather than an absence. The title itself reveals his ambition - if you're writing A History of Light, you have to expect reactions from readers and critics comparing the result with the magnitude of the chosen task. 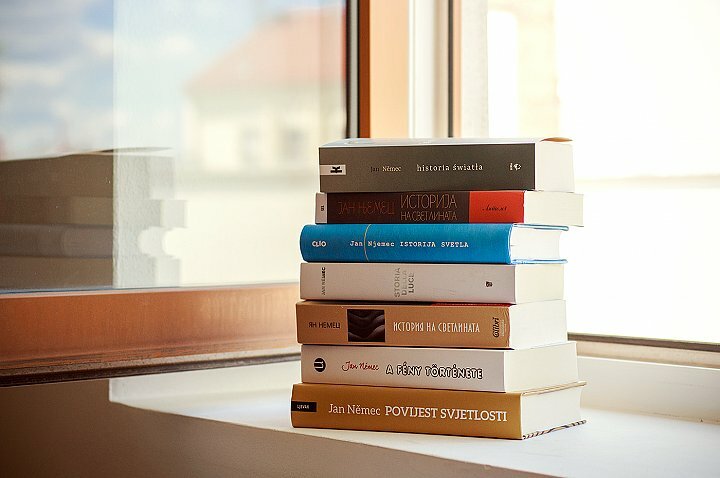 Němec succeeded, he's readable and profound, spiritual and social." 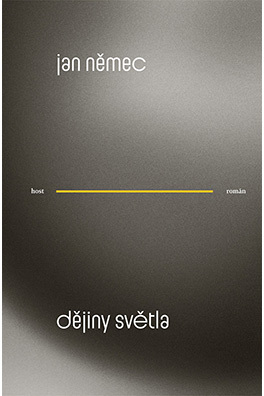 "I read this novel as a manifestation of a genre which is very fertile in the world but which is more or less absent in Czech literature, a biographical novel, which combines presenting the facts and myths about the life of a personality with the attempt to portray the hero's life as a series of extraordinary and remarkable events, aiming at higher quality. The author demonstrates his ability to study sources thoroughly and also remarkable linguistic and stylistic skills. His audience are readers of 'true stories'. Němec is able to brilliantly satisfy the rules of this genre. And in this sense, reading A History of Light was also a literary experience for me." "Although this is a fictional biography, actually it ends long before František Drtikol’s death. The last fifteen years of his life are mentioned only in passing, but this does not seem inappropriate – indeed, things left unsaid and the lack of literalness make this book a compact unit. On completing it you will feel that something important has happened in your life." "Although the remarkable life and work of the photographer, painter and mystic František Drtikol have already been mined several times, this is the first time they have been the subject of an extensive novel. The view in the novel of this versatile, controversial figure is plausible but not necessarily in accordance with the truth. The work proceeds chronologically, beginning in Drtikol’s childhood and proceeding to his apprentice and student years and the gradual building of his career before reaching his shift towards the spiritual teachings of the East and mysticism. The author has tried to be as true to the facts as possible; only his accounts of the perception and inner life of the famous artist are obvious fabrication." "This novel about the famous Czech photographer František Drtikol charms us by its poetic diction and archaic pathos-instilled language that is a perfect match for Drtikol’s style as we know it from his diaries. Part of the work comprises extracts from the letters of František Drtikol to Eliška Janská, so the reader can compare the distinctive voice of the protagonist with the tone of the book as a whole. [. . .] In a sense this biographical novel really is a ‘history’ of light, which is lacking in the silver mines of Příbram but later renders the ornamental character of the ‘Secession’ and the minimalistic shapes of the ‘Moderne’, the characteristic facial features of portraits and the magnificent curves of naked models; in the end this light is at the heart of the spiritual disciplines practised by Drtikol."